Christmas is just around the corner and we have our hopes and aspirations for family; for presents; for a fresh start in the New Year. However, these four weeks of Advent are to prepare us for something more important – our relationship with Jesus. Advent waiting reminds us that everything is not quite right with our world, nor with ourselves. Advent is a wake-up-call; a season rekindling our faith in Jesus. Somewhat broken, we need fixing and the way to mend ourselves and our world is to repair them with Christ. This is the heart of Advent preparation. The prophet Isaiah was also living in a broken world. Like today, the people’s hearts had strayed from God. Consequently, they were living in desperate times. Yet, despite this Isaiah was hopeful. He prophesied something unknown to humanity would come to mend hearts, so human beings could act with integrity and do right by one another. God was about to tear apart the heavens and act. He reminds us that God is in charge – that God is the potter, we the clay. This hope was fulfilled in the coming of Christ. With the coming of Jesus the heavens were metaphorically ‘torn open’ and God descended to live, once again, among men and women. Christ came to fix our broken world, reinstate God’s kingdom, and call us home. Christ having come, and giving every gift, continues to draw everything to its completion. The work is not done. What we hope for is not yet accomplished. We need to continue striving in faith until that day when we come before the Lord. 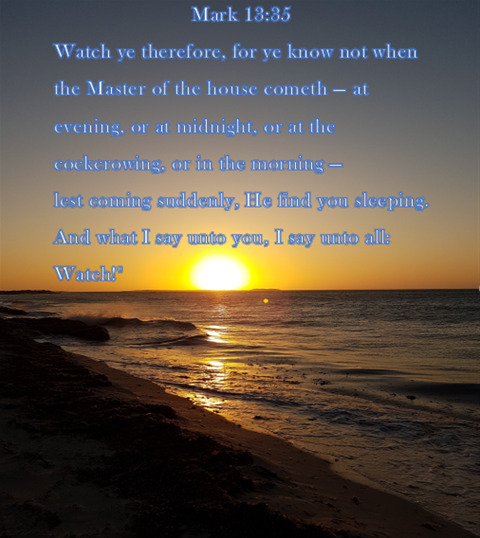 We still need to heed of the Lords words to “stay awake, because [we] do not know when the master of the house will come back – whether in the evening, or at midnight, or when the rooster crows, or at dawn” (Mark 13:35). Isaiah lived in desperate times. Now, our world now is broken. Isaiah saw that the answer to all chaos was the God who would and did come down from the heavens to heal us and repair our hearts. And we now know that Jesus is the solution to our broken world. But what we hope for is not yet accomplished. We need to continue striving but also recognise we need fixing. The way to mend everything is to repair ourselves and our world with Christ. So, awaken yourselves, be vigilant, prepare well in the forthcoming weeks. 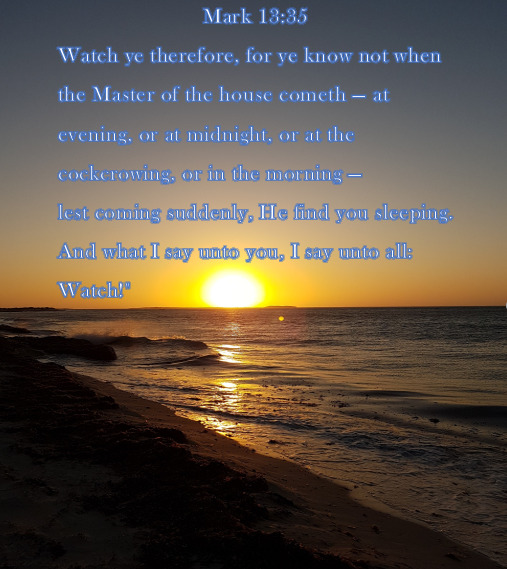 Soon, we are once again about to celebrate Christ’s 1st coming, but we do not know when the master of the house will come to us for the last time, so stay awake!